Frozen treats are a fun, delicious way to beat the summer heat. But popsicles designed for people are not healthy or even appealing to most cats. Enter the Catsicle. 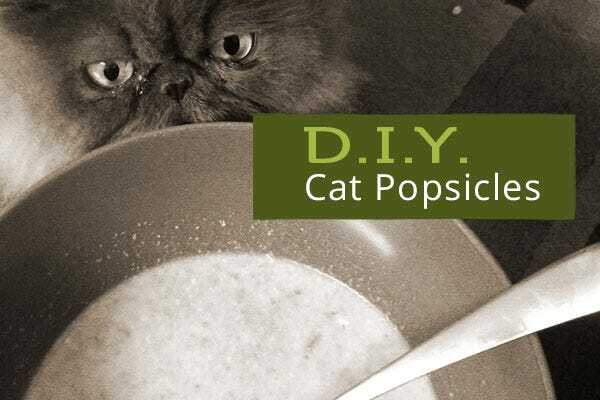 These simple, DIY cat popsicles are designed with your kitty (and your cat's nutrition) in mind. While he may or may not choose to eat them (as cats are notoriously picky), you can at least rest assured that you tried to make his summer awesome. 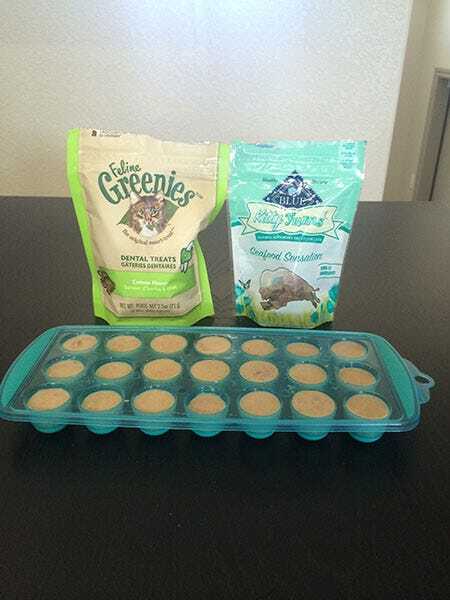 Here's Amber's recipe and her catsicle guinea pig, Penny. 1. 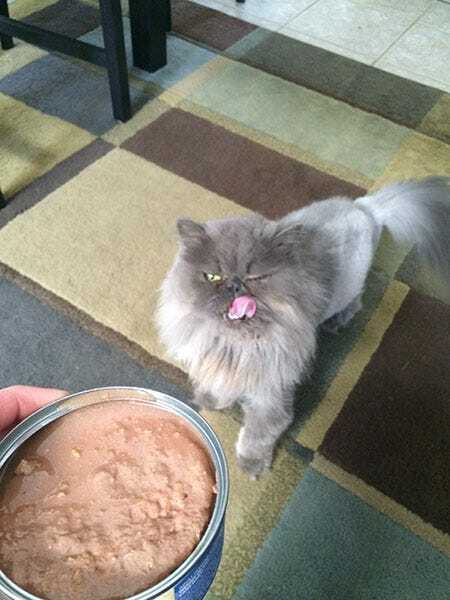 Dump the full can of wet food into a bowl. 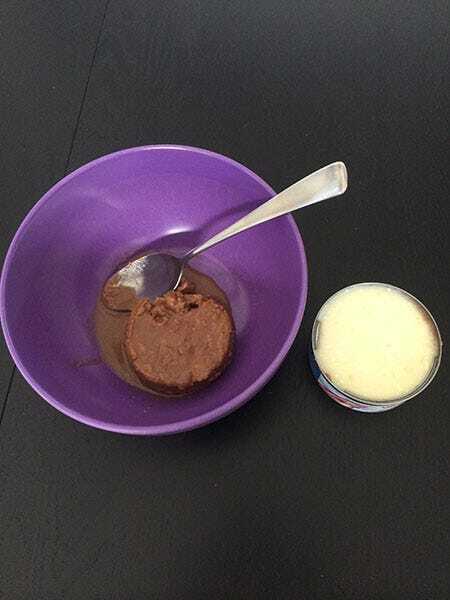 Or, try canned tripe instead for another healthy substitute. 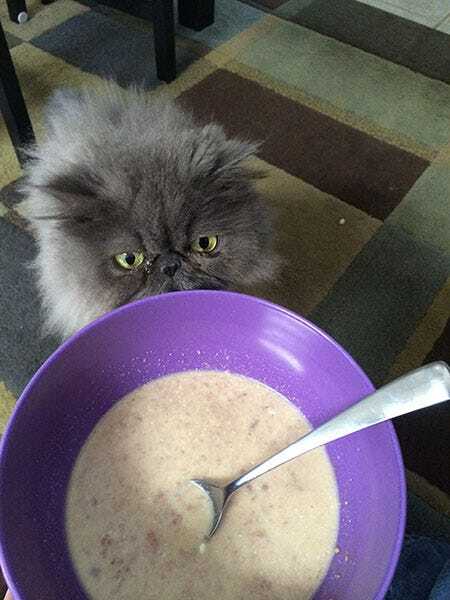 Penny already wants a taste test. 2. 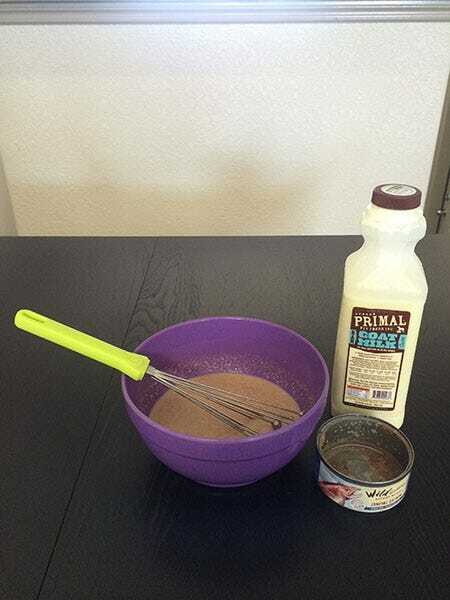 Fill the empty can with goat milk, and mix that with the cat food untiil well-blended. How does it look, Penny? 3. 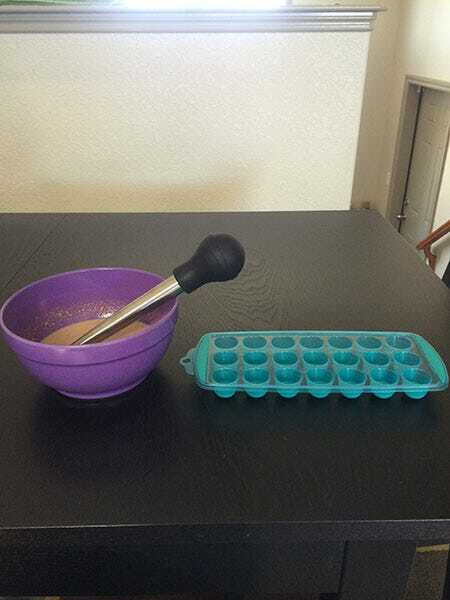 Spray the ice cube tray with cooking spray for easy removal. 4. 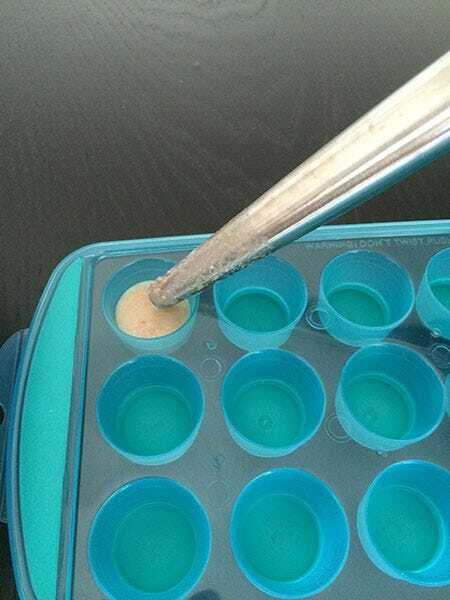 Spoon or pour mixture into the ice cube tray. 6. Put in freezer until fully frozen, about 2-3 hours. 7. 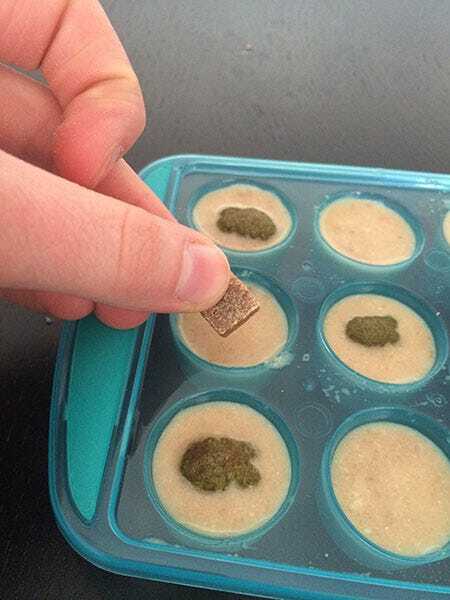 Remove from ice cube tray and let your cat enjoy his treat! For best freshness, remove immediately from ice cube tray and place in a sealed freezer container or a ziploc freezer bag. Unforunately, my cat didn't show any interest in these catsicles once I got them out of the freezer and tried to give her one. Maybe it was because the smell wasn't as strong when it was frozen? Or just cats? 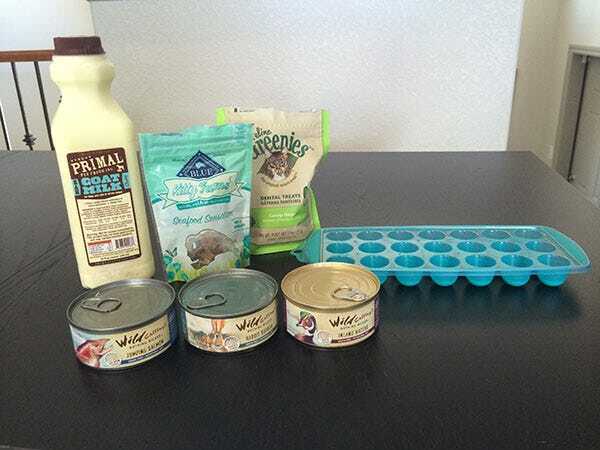 Did your cat try these catsicles? Love 'em or hate 'em?